There's nothing like having a fully stocked toolbox. And whether you're a homeowner or a professional, having the proper tool handy helps to avoid those "uh oh" moments. Some fixes go beyond the everyday screwdriver or hammer, and having something like a heat gun in your toolbox could be a life-saver. 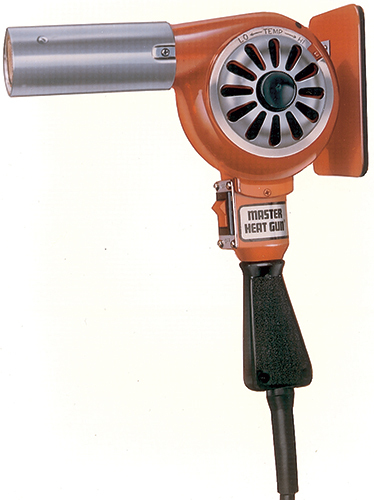 Master Appliance knows a thing or two about heat guns—having manufactured them for 55 years. They've provided homeowners, electricians, plumbers, and contractors with high-quality heat guns to meet a variety of tasks such as paint stripping, thawing out pipes, soldering, bending PVC pipes, drying paint, and more. Let's take a closer look at a few of these versatile, must-have tools. The original Master Appliance Heat Gun first released in 1958, the Master Heat Gun has been used by countless professionals for a myriad of tasks requiring reliable, flameless heat. Solidly built (double-protected heating element and die-cast aluminum housing) and powerful (its universal motor provides 23 CFM airflow with temperatures up to 1000°F) the Master Appliance Master Heat Gun offers durability and longevity. Master Appliance's Varitemp Heat Guns offer heavy-duty, professional quality with variable temperature control. Variable temperature is important for tasks such as thawing out pipes where you'd want to start at a lower temperature and increase the heat as you conditioned the pipes. Reaching temperatures up to 1000°F, Master Appliance's Varitemp models make such tasks quicker and easier. Master Appliance’s ProHeat Series include a number of heat gun models (Proheat Quick-Touch™, ProHeat Dualtemp™, ProHeat Varitemp, ProHeat Variair® Temperature, ProHeat LCD Dial-In, and the ProHeat LCD Programmable) with options to make any job faster and easier. For instance, the ProHeat LCD Heat Gun offers LCD temperature and airflow displays, while the Quick-Touch provides a momentary contact switch, which turns the unit off if the switch isn’t held. 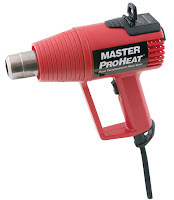 Q Source offers an extensive selection of Master Appliance Heat Guns and accessories perfect for any task where fast, reliable, flameless heat is required. In addition to the Master, Varitemp, and ProHeat heat gun lines, we also carry Master Appliance’s Ecoheat® and Master-Mite® models. 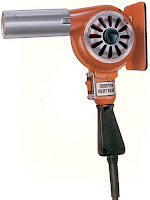 You'll find dozens of heat gun products along with hundreds of other Master Appliance heat tools at QSource.com. For more information, or to place a non-Web order, please contact us at 800-966-6020 or via email. We'd also love to hear about your experiences using Master Appliance heat guns—so, please post your comments below. Brady Worldwide (Brady) will release an update to their Brady LINK360™ software product during the first week of April. 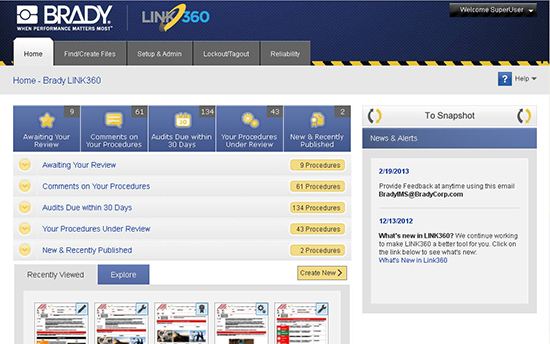 LINK360, Brady’s cloud-based Visual Information Management (VIM) system, is used for managing visual information on and around equipment and machines. Current LINK360 subscribers will receive the 2.1 update at no cost and the update will be made to their software automatically. New customers will get the updated Version 2.1 with their subscription. For more information about Brady's LINK360 platform please refer to our previous blog post, "Brady's LINK360 Cloud-Based Software Platform: Ease of Use for Ease of Mind". Also, for an insight into the importance of visual information management, please read, "Information Management as a Means for Dynamic Communication" written by our Brady guest blogger, Marlon Davis. To purchase a LINK360 license please contact Q Source via phone (800-966-6020) or email and one of our Brady experts will gladly assist you. There's just one week left to take advantage of our March Social Networking Sale offer of an extra 10% off everything at QSource.com. Save on thousands of quality items by using our Facebook discount code. Among our large product selection from dozens of manufacturers, we offer must-have, everyday items such as QRP Gloves, Jensen Global Dispensing Needles & Accessories, and Worklon Cleanroom Coveralls. And this savings opportunity would be a great time to get that Waldmann Tevisio Dimmable Magnifier or Hakko FA-430 Fume Extraction System you've been thinking about. This month's sale offer will be going out like a March lamb on the 31st. So, head on over to our Facebook Coupons page today, and, if you haven't already, "like" us. You’ll then get the discount code for our 10% off special and be registered for all future monthly offers. Please note: Our March Social Networking Sale offer cannot be combined with other offers. BLOG UPDATE: We were recently contacted by a customer using several Hakko HJ3100 Fume Extractors in their plant. Back in June of 2011 we reported that Hakko had replaced the HJ3100 with the new Hakko FA-430 Fume Extraction System. Our customer needed to obtain a few dozen Hakko Filter Adapter Frames (999-241), which enable the HJ3100 to fit the new A1586 Main Filter used with the FA-430. We had indicated, in a previous blog, that Hakko was offering the adapter for free, but we wanted to double-check this for our customer. We have, subsequently, contacted Hakko and verified that the Hakko Filter Adapter Frame (999-241) is still available and at no charge. Customers may obtain one adapter for each HJ3100 unit they own. For more information, and to order the free adapter, please visit Hakko’s Web site. For more information about the FA-430 Fume Extraction System or any Hakko product, please visit QSource.com or give us a call at 800-966-6020. You may also email us and one of our helpful experts will respond to you as soon as possible. Vision Engineering's state-of-the-art stereo microscope technology is a proven winner for visual inspection tasks in a quality control (QC) environment. But what if you have inspectors moving throughout your production department or need to inspect an immovable object you can't bring to the QC section? The Vision Engineering CamZ Handheld Portable Digital Video Inspection Magnifier is the perfect tool for mobile inspection and documentation. 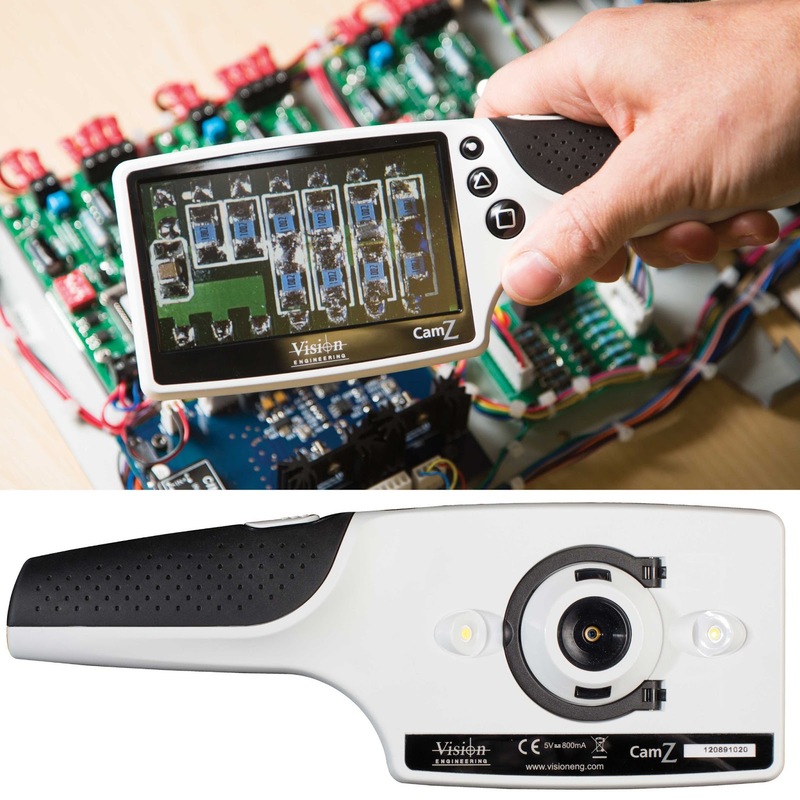 The CamZ was created by Vision Engineering to enable you to magnify, inspect, and capture images (and store up 100) where you want, when you want. Using the CamZ's high-resolution, 4.3" diagonal color display and magnification (up to 14x) and easy-to-use ergonomically positioned buttons (Capture Image, Magnification, & Illumination), your inspectors have the ability to document manufacturing or assembly faults, inspect immobile items, obtain quick onscreen X, Y dimensions, and capture/download images--all while moving about your production area. Weight: 225 grams or 0.49604009 lb. 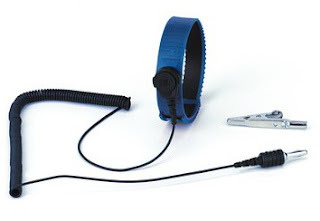 The Vision Engineering CamZ ships with a hard-plastic foam-filled case; an adjustable lanyard, with safety clip; a lens cleaning cloth; a USB cable, and a universal USB charger. For more information, or to place an order, please visit our Vision Engineering CamZ page at QSource.com. Furthermore, our Vision Engineering Department offers a variety of stereo microscopes and visual inspection solutions. If you need further assistance, or for a non-Web order, please contact us at 800-966-6020 or via email. Hankering for hot savings on a heat gun? Then this sale oughta warm you up! 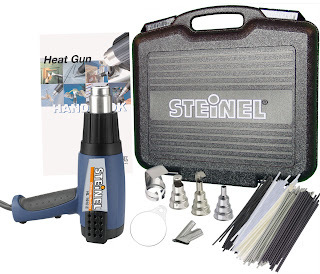 From now until December 20, 2013, save more than 42% on STEINEL®'S HL 1910 E Variable Temperature Electronic Heat Gun Multi-Purpose Kit. The STEINEL 34836 Multi-Purpose Electronic Heat Gun Kit includes the HL 1910 E Heat Gun with its adjustable temperature wheel and DuraTherm™ heating system. The kit also features a variety of accessories for use in precise, controlled heating applications. A powerful heat gun, the RoHS-compliant STEINEL HL 1910 E uses its variable temperature (see Temperature Dial Settings chart below) and electronic thermocouple control for adaptable use and reliability. This versatile tool is suitable for a number of tasks such as plastic welding, heat shrink, automotive repair, bending pipe, shrink tubing, and forming plastic to railings. The HL 1910 E's DuraTherm Heating Element is a ceramic encapsulated heating system with coils that are wound through a series of stacked ceramic disks. This "honey-comb" effect promotes even heat and long life. In addition to the DuraTherm element, the Electronic Thermocouple Control is a microprocessor for heat measurement, which regulates and prevents heat back up. This feature also extends tool life and allows for the use of specialty reduction nozzles. The accessories included in the STEINEL 34836 Multi-Purpose Kit offer a number of reflector nozzles (9 mm, 14 mm, and 39 mm) and a reducer nozzle (9 mm). The reflector nozzles are used to direct air around pipes and tubing for even heating. The reduction nozzle pinpoints a focused stream of hot air for precision welding and soldering. To learn more about the STEINEL 34836 HL 1910 E Variable Temperature Electronic Heat Gun Multi-Purpose Kit, and to place an order, please visit QSource.com. We can also be contacted via email or at 800-966-6020. While you're at our Web site, please check out our STEINEL Department, which features dozens of heat guns and accessories. St. Patrick's Day may be for the wearing o' the green, but our March Social Networking Sale is for the saving o' the green. Save an extra 10% OFF our low prices at QSource.com when you use our March Facebook discount code. Whether you're looking for precision Cutters, Illuminated Magnifiers, or even Cleanroom Garments you'll get extra savings with this month's special offer. Use your extra 10% OFF on high-quality items such as this BBP33 Label Printer (with Auto-Cutter & LabelMark 5/Markware Software) from Brady or perhaps this Cyclonic Vacuum from Atrix. So, follow the path to our Facebook Coupons page and "like" us to get your reward. It may not be a pot of gold, but an extra 10% OFF is enough to make most leprechauns happy. After you've liked us, you'll be registered to receive the discount code for all of our future monthly offers. Please note: Our March Social Networking Sale offer ends on 3/31/13 and cannot be combined with other offers. Last October, OSHA published their annual Top 10 "Most Frequently Cited Standards" list for fiscal year 2012. Once again, 29 CFR 1910.147 - The Control of Hazardous Energy (lockout/tagout) made the list. This regulation has been in force for more than 20 years and consistently appears on this list. So what are employers and safety managers missing? One area where many companies fall into trouble is the periodic inspection element, found in 1910.147(c)(6). According to OSHA, periodically means "at least annually." Do you look at your internal lockout/tagout (LOTO) machine-specific procedures at least once a year to determine if any part of that process has changed? And if your equipment or process has changed, do you have a process to update the procedure at that time, instead of waiting? 1910.147(c)(6)(i): The employer shall conduct a periodic inspection of the energy control procedure at least annually to ensure that the procedure and the requirements of this standard are being followed. Part of this periodic inspection requires that an inspector review the procedure with "each authorized person." Authorized persons are those persons who perform the preventative maintenance, testing, calibration, or inspections of equipment. This review is a critical part of the Control of Hazardous Energy regulation, as well as your employee's safety. All inspections must be properly documented and recorded with the findings, as well as any action items must be addressed in a timely manner. To make compliance with this portion of the regulation easier on yourself, incorporate a review of your lockout procedures every six months as part of preventative maintenance programs. By instituting these regular reviews you'll be meeting the minimum OSHA regulations, very likely following the equipment manufacturer's recommendations, and keeping your employees safe in the process. Q Source would like to recognize our guest bloggers, Danielle Gallo and Heather Marenda, from Brady Corporation. Thank you very much for your contribution to The Q Source Resource. 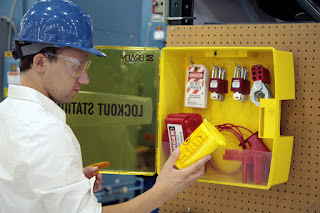 To learn more about lockout/tagout solutions for your workplace please contact Q Source's LOTO experts at 800-966-6020 or via email. We've previously told you about the great deals to be found in our Clearance Center. Our offerings in that department are frequently updated, so we wanted to fill you in about some recently added, high-quality 3M products now available in clearance. 3M 2389: 10' Table Mat Interconnect Cord w/10 mm Snap - Used to interconnect two monitored worksurfaces. 3M 4013: 1.813" x 4" Round Container - Perfect for static-safe storage, kitting, and in-process handling and transporting of static-sensitive assemblies and devices. 3M 3001016: 10" x 16" SCC 1000 Series Metal-In Zip-Top Static Shielding Bag 100/Pack - Transparent, metallized, zip-top static shield bags with a four-layer construction that provides a static-safe environment for sensitive electronic devices. 3M 1002026: 20" x 26" SCC 1000 Series Metal-In Open-Top Static Shielding Bag 100/Pack - Transparent, metallized, open-top static shield bags with a four-layer construction that provides a static-safe environment for sensitive electronic devices. 3M 3057: Workstation Monitor Stand-By Jack for 3M TM724 or TM790 - Allows the operator to disconnect a ground cord from the wrist strap and leave the workstation without deactivating the 3M 724 Workstation Monitor or 790 Static Monitor. 3M 2220: 10' Wrist Strap Ground Cord w/Alligator Clip - This single bundle of tensile conductors is laced for great strength and reinforced with strong synthetic fibers. Highly durable with segmented strain relief. 3M 4650: 5' Adjustable Thermo-Plastic Wrist Strap w/Cord & 4 mm Snap - Made from a thermo-plastic material that is lightweight, has a low-profile, and safely makes contact with human skin. The included ground cord is made from highly flexible tinsel conductors that are laced into a high strength, energy absorbing synthetic fibers and housed by a lightweight coil thermo-plastic jacket. 3M 2210: 5' Wrist Strap Ground Cord w/Alligator Clip - Laced for great strength, this single bundle of tensile conductors are reinforced with strong synthetic fibers. Highly durable with segmented strain relief. In addition to those great ESD items, we've also added 3M's Model 1PLDES1300 4.5" x 3" Tyvek Plastic Pouch Desiccants (1800/Pail) and Model 1245 3/4X18 0.75" x 18 Yd. EMI Embossed Copper Shielding Tape. 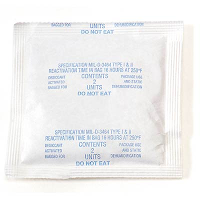 The Tyvek Plastic Pouch Desiccants are secured in a strong envelope of sulfur-free, non-woven plastic and help absorb airborne moisture left inside a vacuum-packaged bag. The EMI Embossed Copper Shielding Tape features an embossed 1-oz. copper foil backing with a pressure-sensitive aggressive adhesive and is used for applications that require EMI shielding on components, equipment, shielded rooms and more. We’re sure you'll want to stock up and save on these excellent 3M items. Please visit our Clearance Center often as our selection changes on a regular basis. You never know what great deals you'll find there. For questions about any of these products, please contact us at 800-966-6020 or via email. Vision Engineering's Mantis Elite Cam is the third, and final, entry in our three-part series focusing on the Mantis line of stereo microscopes. Like the Mantis Compact and Mantis Elite, the Mantis Elite Cam is packed with impressive features and magnification options suited to various precision tasks. The Mantis Elite Cam retains all of the features of the Mantis Elite and adds an internal digital camera for easy image capturing and documentation. Because it is identical to a standard Mantis Elite, the Elite Cam is compatible with all of the Mantis Elite options and configurations. The factory-integrated and sealed digital USB 2.0 camera allows for simultaneous optical and digital viewing. In addition to the integrated digital camera, the Mantis Elite Cam includes a Mantis Elite optical head and free PC software, which allows for basic image capture in a number of formats including BMP, JPEG, and PNG. Vision Engineering's patented eyepieceless technology is found on all of the Mantis models. It allows for the operator to have enhanced head movement and to wear glasses, if required. The Mantis Elite Cam also offers the Mantis Elite magnification options up to 20x and provides long working distances and large depths of field (see the Optical Data chart for more information). QSource.com offers a number of objective lenses and special packages related to the Vision Engineering Mantis Elite Cam head unit. The special Q Source created packages include the MEHCAM-001/MEF-001US Mantis Elite-Cam Series Stereo Microscope Visual Inspection System w/Articulating Arm/Stand/C-Clamp & Integrated Digital Camera, the MEHCAM-001/MES-006US Mantis Elite-Cam Series Stereo Microscope Visual Inspection System w/Bench Stand & Integrated Digital Camera, and the MEHCAM-001/MES-005US Mantis Elite-Cam Series Stereo Microscope Visual Inspection System w/Universal Stand & Integrated Digital Camera. That concludes our look at Vision Engineering's Mantis Series of stereo microscopes. For further details, or to place a non-Internet order for your own Mantis, please call (800-966-6020) or email us and one of our helpful Vision Engineering experts will be happy to assist you. To further meet your needs for static shielding and conductive bags to ship and protect sensitive electronic devices, QSource.com has recently enhanced our product offerings with the addition of several genuine 3M Static Shielding & Conductive Bag items. Whether you need conductive, moisture barrier, puncture-resistant, or cushioned we now offer you a complete selection of 3M's industry-leading bags. 3M 2004 Series Conductive Bags - 2004 Series Conductive Bags are manufactured with opaque, volume-conductive carbon impregnated polyolefin. These 4-mil-thick bags are easily grounded and their electrical characteristics are not affected by age or humidity. Standard bags are readily heat-sealable. 3M SCC 1000 Series Metal-In Open-Top Static Shielding Bags and 3M SCC 1000 Series Metal-In Zip-Top Static Shielding Bags - 1000 Series Static Shielding Bags are designed to comply with ESDA, industry, and customer standards. These cost-effective metal-in and high-protection metal-out 3.1-mil bags provide the protection required for a wide range of device sensitivities. These four-layer, static-safe bags are lead-free, RoHS compliant, and ANSI/ESD S20.20 compliant. 3M SCC 1500 Series Metal-Out Flat Top Static Shielding Bags and 3M SCC 1500 Series Metal-Out Zip-Top Static Shielding Bags - 1500 Series Static Shielding Bags provide low-charge retention and rapid static decay. Like the SCC 1000 bags, the 3.1-mil SCC 1500 Series are lead-free, RoHS compliance, and ANSI/ESD S20.20 compliant. 3M SCC 2100R Series Puncture Resistant Metal-Out Static Shielding Bags and 3M SCC 2110R Series Puncture Resistant Metal-Out Zip-Top Static Shielding Bags - 2100R and 2110R Series Static Shielding Bags were built to provide a stronger, puncture-resistant option for packaging sharp-edged items. The bags utilize twice the amount of polyester as a standard bag and meet or exceed specific electrical and physical requirements of ANSI/ESD S541, EIA 625, and ANSI/ESD S20.20. These 3.5-mil bags are also RoHS Compliant and lead-free. 3M SCC 2120R Metal-Out Cushioned Static Shielding Bags - 2120R Series Static Shielding Bags are cushioned to protect devices from physical damage and provide static shielding. These 125-mil bags are made from an extra-thick polyester plastic for puncture resistance and also promote fast charge decay and low charge retention. The 2120R Series Bags are lead free, RoHS compliant, and meet or exceed specific requirements of ANSI/ESD S541, EIA 625, and ANSI/ESD S20.20. 3M SCC Dri-Shield 2000 Moisture Barrier Bags - Dri-Shield 2000 Moisture Barrier Bags feature multiple layers of metallized polyester to provide puncture resistance and a moisture barrier. These economical dry bags are RoHS Compliant and lead-free. The Dri-Shield 2000 bags are strong, lightweight, heat sealable, and suitable for vacuum packaging. 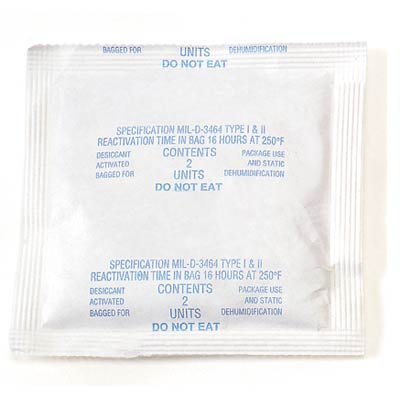 Moisture/ESD caution information and RoHS symbols are marked on each lot-coded, 3.6-mil bag. 3M SCC Dri-Shield 2700 Moisture Barrier Bags - Dri-Shield 2700 Moisture Barrier Bags are static safe and provide moisture protection for sensitive items. 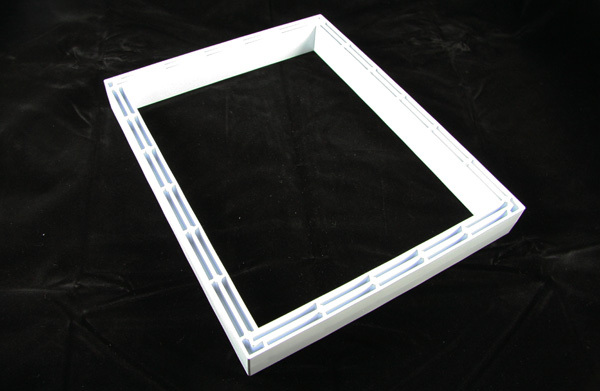 They are perfect for packaging SMDs in trays, tape and reel, shipping tubes, and other items with sharp edges. The 7-mil SCC 2700 Bags are lead-free, RoHS compliant, and meet or exceed certain requirements of ANSI/ESD S541, EIA 625, and ANSI/ESD S20.20. These bags feature markings for ESD, moisture, RoHS, and are lot coded for traceability. 3M SCC Dri-Shield 3000 Moisture Barrier Bags - Dri-Shield 3000 Moisture Barrier Bags were designed to provide maximum moisture protection for surface mount devices. Manufactured from static-dissipative nylon, aluminum foil, and static-dissipative polyethylene, these 6.1-mil bags offer very low MVTR and are suitable for vacuum packaging. The SCC 3000 Bags are RoHS compliant, lead-free, QC coded, and meet the electrical and physical requirements of IPC/JEDEC J-STD-033, EIA 583, EIA 541, EIA 625, and EOS/ESD. 3M SCC Dri-Shield 3400 Moisture Barrier Bags - Dri-Shield 3400 Moisture Barrier Bags were specially designed for high-volume applications are suitable for vacuum packaging. These 4-mil bags are strong, lightweight, heat sealable, and provide the barrier properties required by JEDEC specifications. The SCC 3400 is lead-free, RoHS compliant, and lot coded for QC traceability. As an authorized 3M distributor, Q Source can offer the most complete selection of bags at competitive prices. 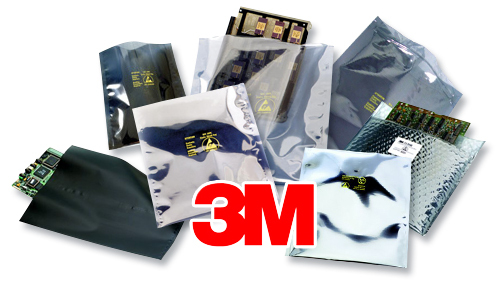 For further information about our 3M bags, or to place an order, please visit our 3M Static Shielding and Conductive Bags Department at QSource.com. Our helpful experts can also assist you via phone (800-966-6020) or email. We love helping our customers save money; especially when it's on items you really need. To that end, our monthly Social Networking Sale offer for March is 10% OFF everything at QSource.com. QSource.com offers thousands of products in a number of categories such as Workbenches, Chairs & Industrial Furniture; Soldering, Desoldering & Rework; and Floor & Table Matting. Our 10% discount offer can be used on any of those including popular items like the Hakko FX-888D Digital Soldering Station, Vision Engineering's Mantis Elite Stereo Microscope, and great selections from our Featured Products Department. Visit our Facebook Coupons page today and click on the Like button. Once you've done that you'll gain access to our 10% OFF discount and you'll be registered to take advantage of all future monthly sales after that. Please note: Our March Social Networking Sale offer ends on 3/31/13 and cannot be combined with other offers. Discount code valid only at QSource.com.